When a marriage breaks down, it’s natural to want to assign blame. For many couples, however, there is no singular reason for divorce. When this is the case, couples file for a no-fault divorce. During a no-fault divorce, neither partner is required to prove fault or wrongdoing by the other spouse. To file a Complaint of Absolute Divorce, the filing party only needs to claim incompatibility, irreconcilable differences, or that the marriage has broken down irreparably. When a party has filed for no-fault divorce, there is no defense for the divorce petition. 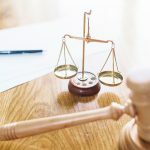 This means that the spouse being presented with the divorce cannot fight the proceedings or use defamatory testimony to sway property division judgements. A common misconception regarding uncontested no-fault divorce is that because this is the simplest type of divorce, there is no need for an attorney. This is not the case. It is wise to hire a lawyer no matter which type of divorce you are seeking. To be granted a divorce in the state of North Carolina, one spouse (or both) must have been living in the state for at least six months before filing for divorce. While North Carolina does not require couples to file for legal separation, the couple must have been living separately with no intent to reconcile for at least one year before petitioning for divorce. The divorce cannot proceed if these requirements are not met. If the divorce is uncontested, meaning that you and your spouse agree on the terms of divorce, proceedings will move quickly and you can be granted a divorce in as little at two months. Contestation can slow court proceedings but it cannot stop them altogether. 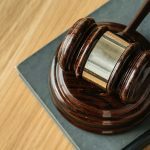 During a contested no-fault divorce, the case will go to trial and the court will become the decision-maker. To avoid having the court decide on matters like property division, alimony, and custody, it’s best to reach an agreement with your soon-to-be former spouse outside of court. An experienced divorce lawyer is an invaluable resource when it comes to drafting an agreement that is fair to both parties. It’s important to note that during any type of divorce, these judgements cannot be made after the divorce is granted. This is why it is imperative to reach agreements during divorce proceedings, not after. While a no-fault divorce is typically quicker than other types of divorce, it is still a difficult time. At Doyle Law Group, our goal is to take away the stress of the administrative side of divorce so you can focus on moving forward. To learn more about our divorce mediation services or to schedule your consultation, call (919) 301-8843 or complete the form below.